We take a look at some of the more bizarre gaming peripherals there’s been over the years. What’s the best way to enhance that perfect gaming experience? With a (often) malfunctioning bit of plastic you wave around the front room that’s how. Before the perennial, ‘who has the best controller’ rants and before we were clacking on plastic drum pads and calibrating movement sensors we’ve had scores of gaming toys. Here’s some of the more obscure ones. For the Dreamcast and Sega's Bass Fishing game the Sega Fishing Rod peripheral uses motion sensors and a reel fitted on the side to emulate that true fishing experience. This is one of the more successful weird peripherals as not only does it work well but it also makes the experience of playing a fishing simulator more exciting, something we didn;t think was possible. This one is keeping it reel! Train simulators are big, big enough to bring out the Rail Driver which goes down as the most fully featured controller in this selection. With over 30 buttons, several switches and four big levers to pull to and fro you’ll be living that authentic train driving experience. As the spiel on their site reminds you Rail Driver will make you, ““feel like you're driving a train, not a computer.” Train driving we’re told is pretty involved despite the fact you’re going in a straight line most of the time, driving your computer isn’t recommended incase it crashes! 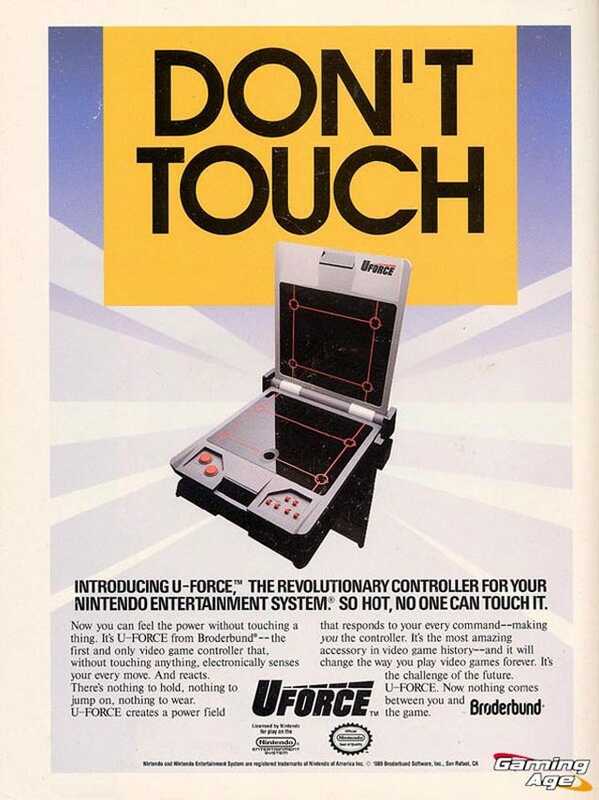 Quite often cited amongst the worst gaming peripherals of all time U-Force for the NES as the advertising reads was, “So hot no one can touch it”. Unfortunately no one could use it either the infrared sensors it used to translate hand movements into commands weren't up to scratch, either not reading your gestures or getting them wrong. Quake’s success on PC had designers thinking there was a better way to to play FPS games than wih a mouse and a keybord. The rotating, palm-numbing Frag Master is proof perhaps that there isn’t. The 1989 film The Wizard was as much about gaming as it was about Nintendo product placement, the Power Glove being the most memorable gaming toy from the movie. as a result many wanted one. We can say first hand that while you think you’re cool for wearing one you get massively frustrated trying to play a game with your Power Glove they didn’t work well at all.